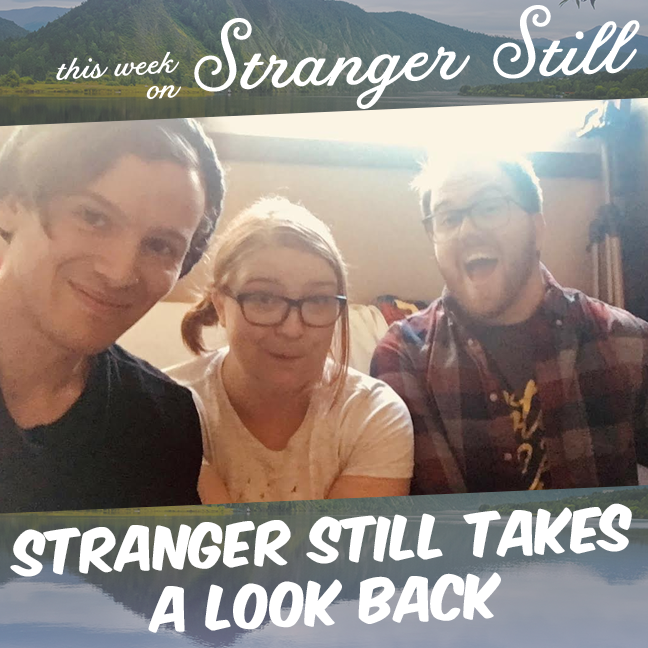 In this episode, we explore Stranger Still’s previously covered topics from the last two years. That’s right, we’ve been doing this for two years now! And over those 2 years, there have been updates, regrets, and things we deserve to pat ourselves on the back for. Along for the ride this week is Helen LaStar from Falling In Love Montage! This is maybe one of our least humble moments, but we wanted to celebrate. Join us in celebrating our second anniversary!